Local Healing Support Sessions with Rev. Ann Rene are available to women and children who reside in the Denver, Colorado metro and surrounding areas. Every session facilitates empowerment, harmony, balance, and well-being on all levels. Rev. Ann Rene provides a space of holistic, energetic, and spiritual support that facilitates your innate natural healing capacity, confidence, and inner strength of knowing. Each session can unfold very differently as individual healing needs will shift, change, and vary as you move through your experience of life. Rev. Ann Rene works with you to support optimal health and empowerment on all levels from a holistic perspective. This means providing energetic healing support for all aspects of your life: physical, emotional, mental, heart, relationship, intuitive, soul, and spiritual. Rev. Ann Rene can help you understand how to channel your energy through positive actions that facilitate the healthy life changes necessary to achieve core healing. Learn how to connect with an empowered healing process as Rev. Ann Rene relays powerful life changing tools through each individual healing support session. Rev. Ann Rene intuitively connects with your personal energy field as she psychically scans your energetic anatomy and physiology. She is also in continual communication with your guides, the Angelic realm, animal totems, your healing allies, and the higher realms, utilizing and relaying this information during your session time from a place of empowerment and validation. Rev. Ann Rene spends your session time channeling a conscious stream of intuitive information on your behalf. During each healing support session, empowering and detailed core holistic support suggestions and helpful next steps are provided. Intuitive input relayed during your session can help you gain perspective, clarity, and direction. Additionally, an exploration of past lives, the Akashic records, guide and totem connections, soul group, agreements, or contracts may be utilized in addressing specific life questions or issues. 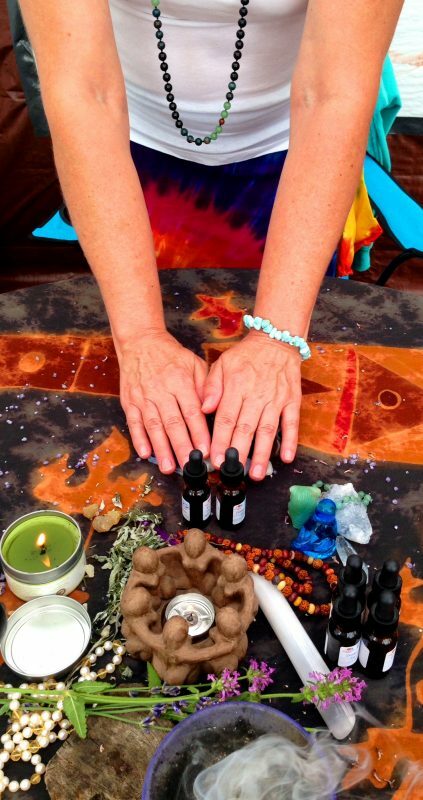 Different energy healing modalities, spiritual counsel, shamanic practices, and traditional wise woman practices are applied during your session time which bring about deep and lasting restorative balance and well-being. Each hour long Local Healing Support Session with Rev. Ann Rene is $90.